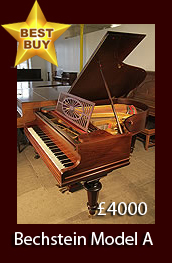 Specialist piano dealer and wholesaler. 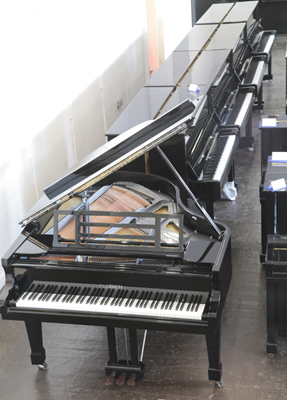 Hundreds of new and secondhand pianos for sale in store.The best selection of pianos in the UK. 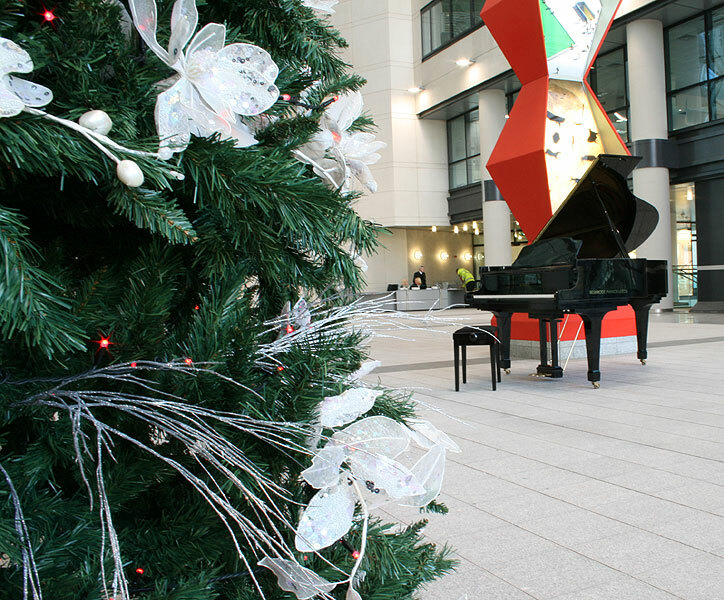 Piano hire available. 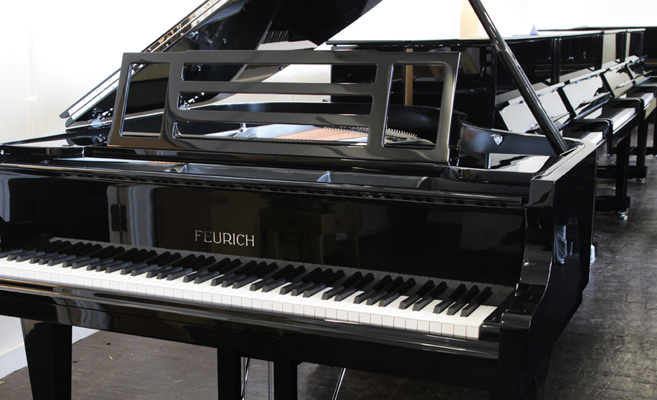 All pianos on our website are on display in our showroom, ready to play. Trade enquiries welcome. Mik Artistik - Magic People. Leeds artist and performer Mik Artistik showcases a series of portraits in mixed media at Besbrode Pianos. Meet the artist 6:30pm - 9:00pm 6th May 2016. Mik Artistik and his Ego Trip will perform at 8pm. 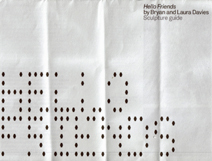 Exhibition open daily 6th may to 6th June, Free entry. 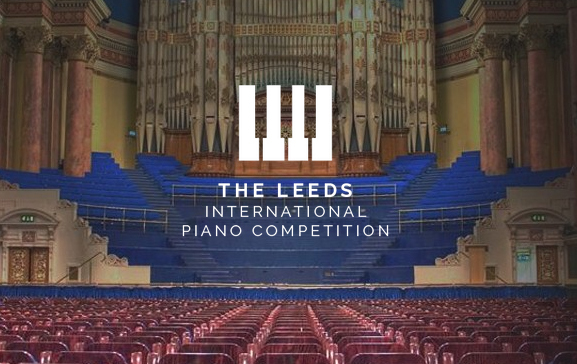 Besbrode Pianos is proud to be working again in association with The Leeds International Piano Competition 2015, providing pianos for the competitor's rehearsals. 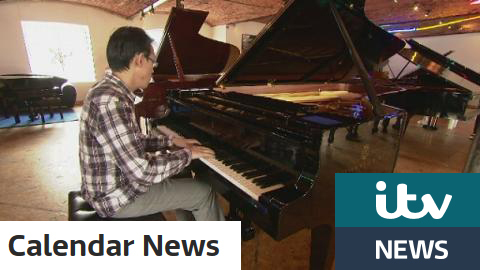 The Golden Age of Pianos is an exhibition of unique, art cased pianos from the height of European piano making. 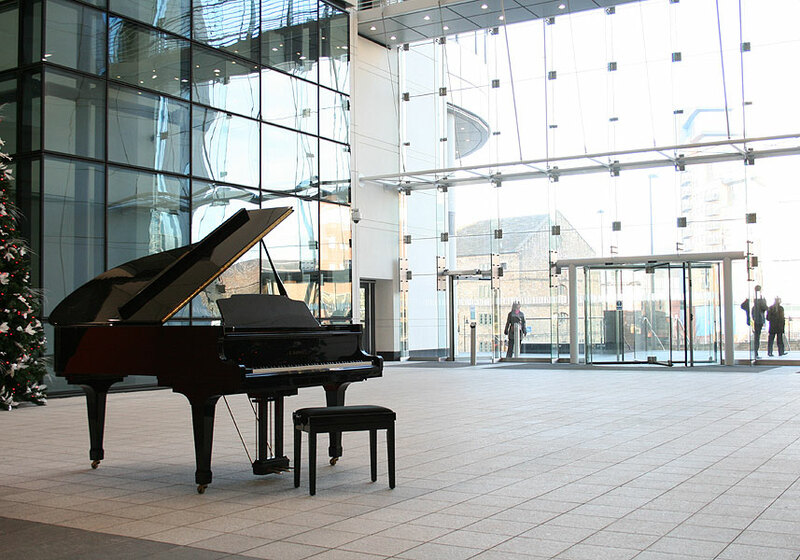 As official partners of The Leeds International Piano Competition 2012, Besbrode Pianos transported a collection of 21 pianos from across Europe to feature exclusively in this exhibition, each of artistic and cultural interest. 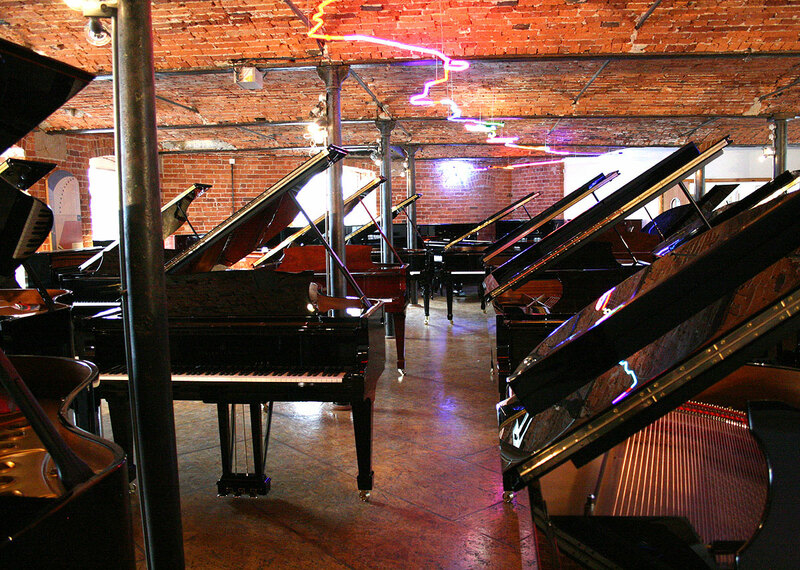 The collection included a piano designed by Peter Behrens (a leading Art Nouveau German artist), Oskar Kaufmann (A Hungarian-Jewish architect), a Broadwood designed by T G Jackson and made for Athelstan Riley's Music Gallery, A Bechstein Model C grand piano featuring a carved two-headed serpent on the back leg, based on a design by Max Koch from Wagner's Ring Cycle and pianos designed for the Great Exhibitions. Click on an image below to see photographs from the event. 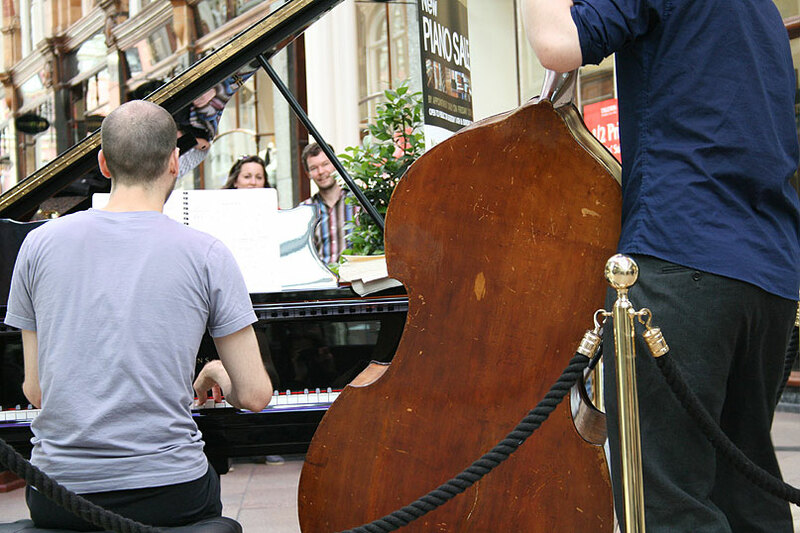 Click on an image below to see photographs taken at our jazz event coinciding with our donation of a Yamaha U1 upright piano to Seven Arts Bar, Chapel Allerton, Leeds. 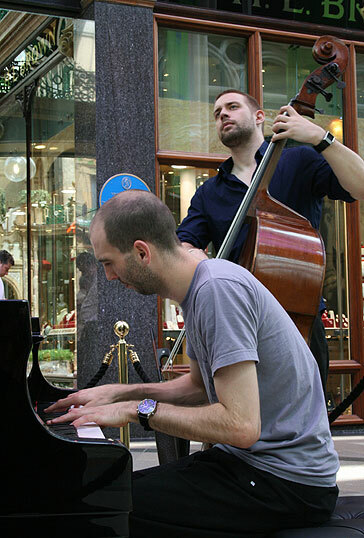 The Matthew Bourne Trio played a free gig, showcasing tunes from their new album, Jonny Tomlinson played a piano accompaniment to the Buster Keaton classic "Cops" and Mik Artistic threw some comedy into the mix. 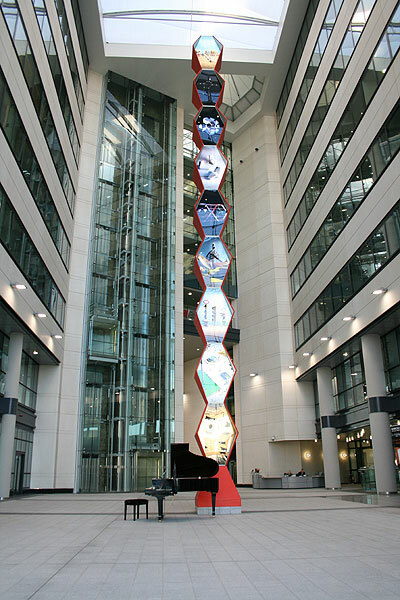 Click on an image below to see photographs taken at the "Hello Friends" Sculpture unveiling, Monday 10 December 2007. 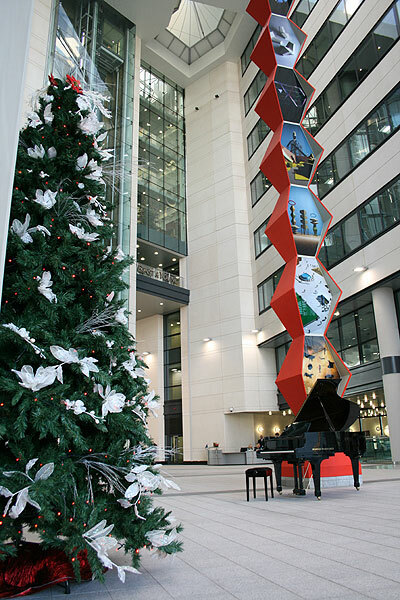 The Sculpture stands in the Atrium at Bridgewater Place and was created by artists Bryan and Laura Davies and commissioned by Landmark development projects. 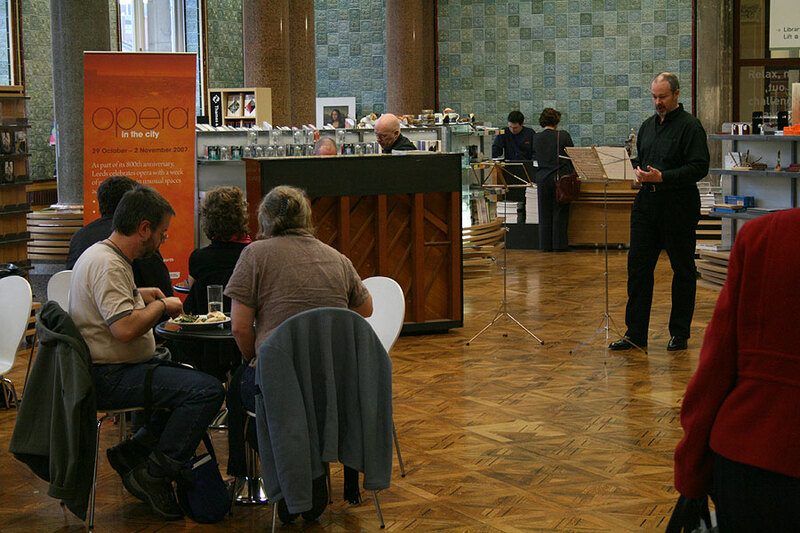 Click on an image below to see photographs taken at the "Opera in the City", Monday 29 October to Friday 2 November 2007. 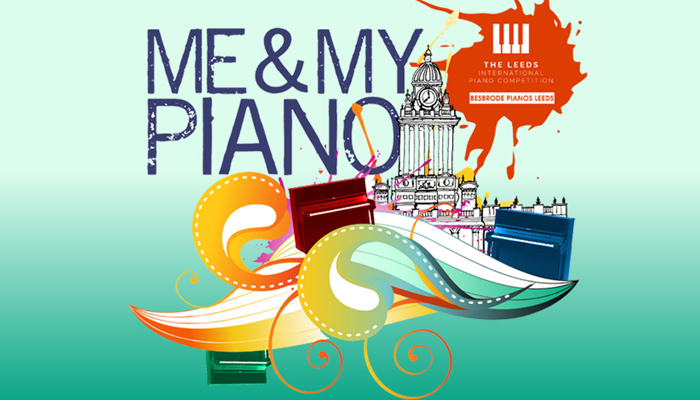 This is one of the events celebrating Leeds 800th birthday - a week of free recitals in locations throughout the city, ending in an Opera Gala at Leeds Town Hall. 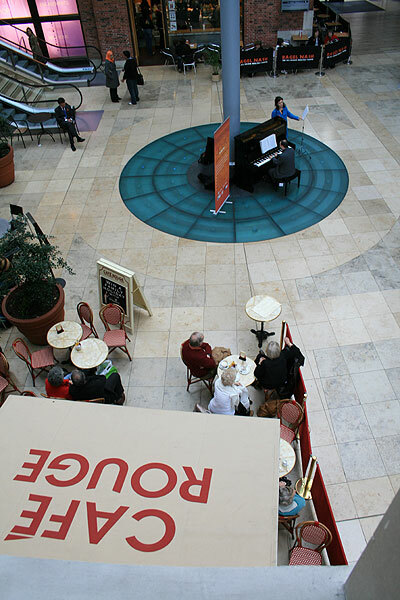 Click on an image below to see photographs taken at the BBC's big piano party "Pianos Everywhere", 22nd September 2006. 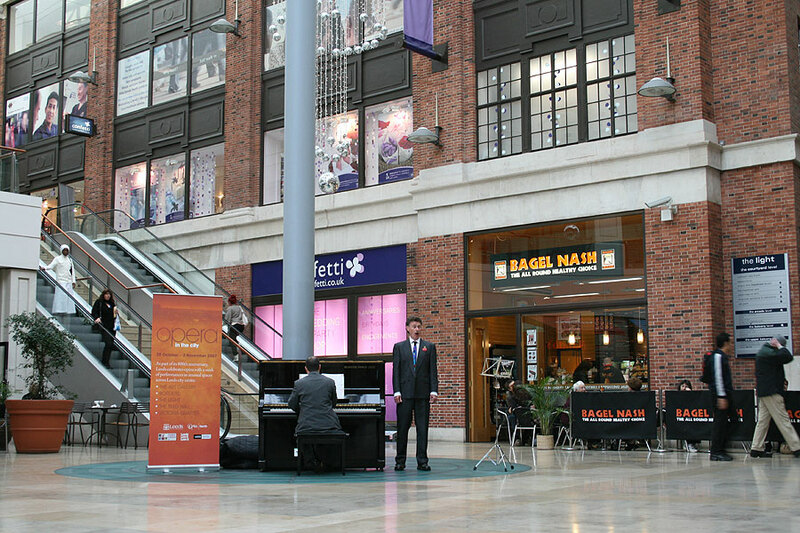 This event ran alongside the Leeds International Pianoforte Competition 2006 promoting pianos throughout the city of Leeds. 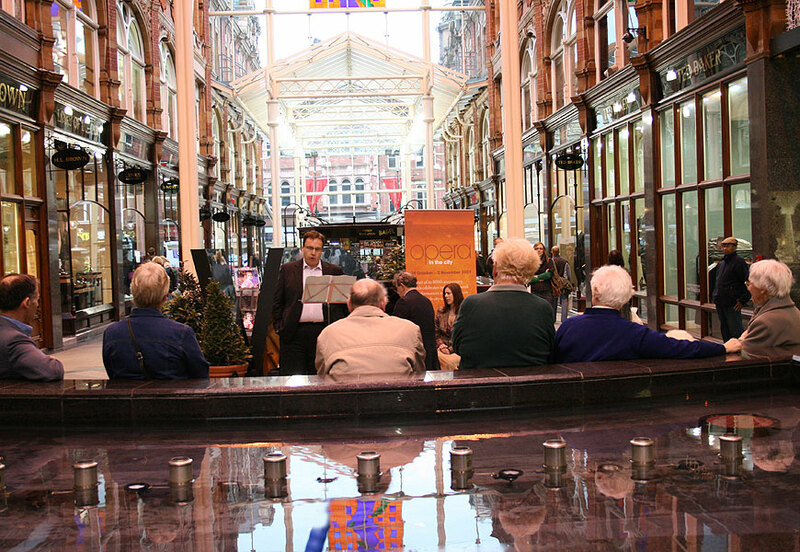 Click on an image below to see photographs taken at a free piano music event on 10th & 11th July at the Victoria Quarter, Leeds. 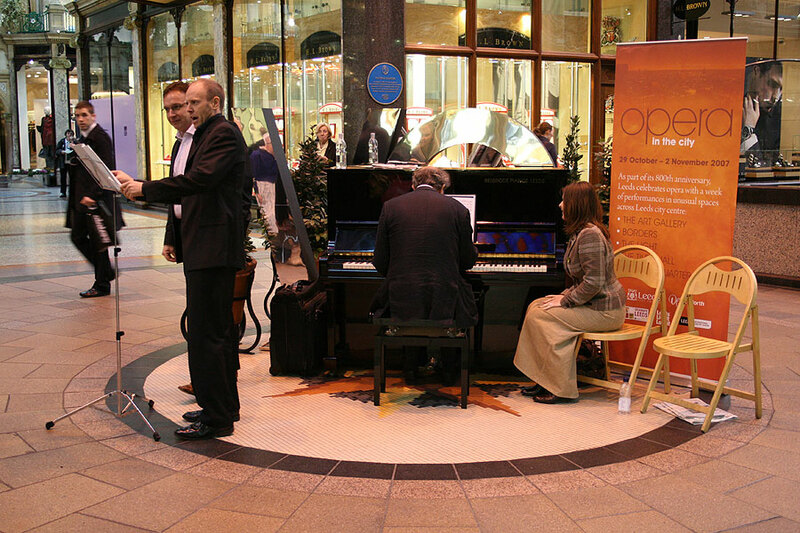 Playing live throughout the afternoon was Matthew Bourne, Kevin James and Rus Pearson. 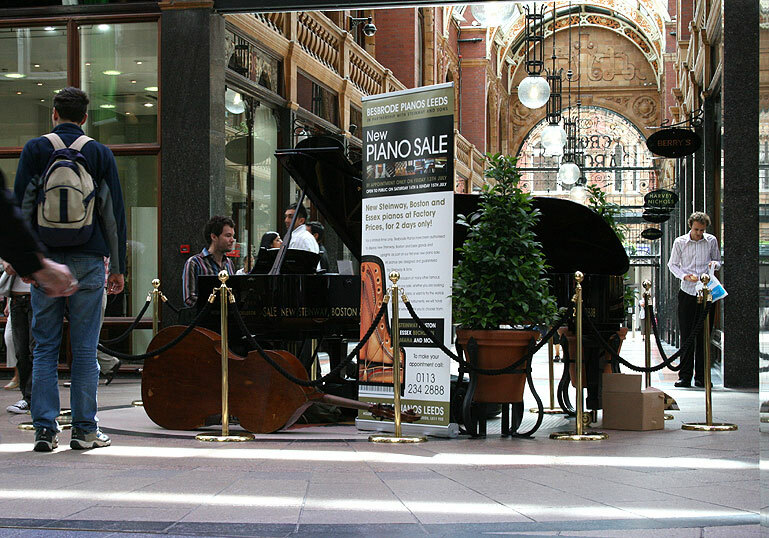 This event ran alongside our New Steinway, Boston and Essex Piano Sale in the first ever partnership with Steinway and Sons. © Please Note: All Prices and Descriptions are subject to change. Please verify with vendor prior to purchase.